BlackBerry is one of those companies that sell cell-phones that you would either like or dislike. Some people adore their secure apps, their unique way of making phones, and their persistent decision of placing physical keyboards on their devices. Others hate them for the same reasons. Regardless, BlackBerry has paved its own path in the mobile industry, and it’s certainly catching our attention. 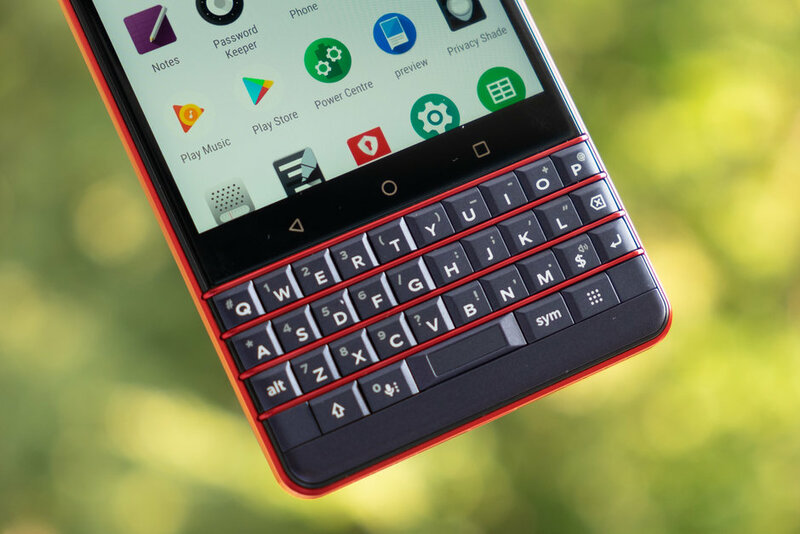 Today, we’ll be talking about one of their newer devices: The BlackBerry KEY2 LE. The BlackBerry KEY2 LE is really just a stripped-down version of its bigger brother—the BlackBerry KEY2. While the KEY2 outshines its little brother in terms of design and build, the LE version shines in terms of price. Some non-key features were sacrificed to lower the cost of the device. Let’s see if it’s still worth it. As far as design goes, the KEY2 LE is definitely solid. Its weight, lighter than the KEY2, feels just right at 156g. It has a plastic finish instead of metal, and although you still get that premium feel when you hold it, the metal finish of the KEY2 was much sturdier. Lenovo did retain the back padding for a better grip. The KEY2 LE has the usual Volume and Power buttons, and a Convenience button, which you can customize to your liking, is also present. The design of the KEY2 LE is unique to the BlackBerry line of mobile devices because it sports a 35-key backlit physical QWERTY keyboard. It’s very tactile and easy to use. The space bar has a fingerprint sensor, and you can even use the keys as shortcuts to open apps. The KEY2 LE has a dual rear camera—a main 13-megapixel camera and a supporting 5-megapixel camera. Photos taken on the device are quite decent, but the camera proves to be quite inadequate in low-light conditions. The device has an 8MP front camera, which is great for capturing selfies in good light conditions. It has a 3,000 mAh battery, which isn’t remarkable and would last 10–20 hours depending on how you use the phone. The device does support Quick Charge 3.0, so charging the phone doesn’t take that much time at all. Processing power is where this device falls short. It uses a Qualcomm Snapdragon 636 processor, which is really underpowered for its price. Most devices in the same price point use the Snapdragon 8xx line, so if you want raw power, there are better devices that you can choose from. But that’s not saying that the Snapdragon 636 processor is weak. It’s definitely capable of handling almost any mobile task. You will just encounter a drop in performance every now and then. The software on this device is Android 8.0 Oreo sprinkled with a ton of BlackBerry features. The BlackBerry apps secure everything from files, notes, messages, passwords, to photos. This is why people get BlackBerry devices—to secure sensitive information. The idea behind the LE version was to open up the features of its predecessor to a wider audience. At its current price point, it’s definitely a go-to device for people who like to work on the go. Sure, the device isn’t as strong when it comes to raw power, but that only really matters when you’re playing high-graphics games. The device is very capable of doing what it’s intended to do, and it is by far more secure than other devices out there.